The Corda Foundation Awards Program was established in 2007 to encourage students, professors, scholars and translators to investigate, further the understanding, and translate David Rosenmann-Taub’s poetry. 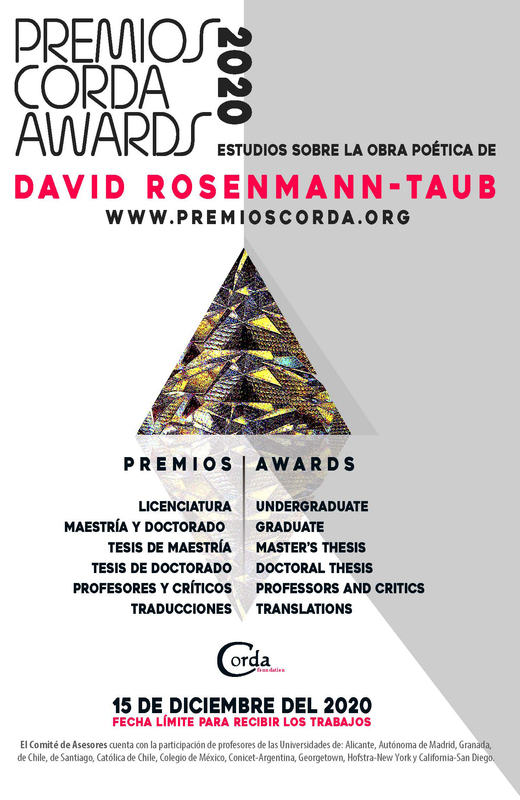 An extensive collection of poetry, critical articles and bibliography can be found at Biblioteca Virtual Miguel de Cervantes and atPoetry of David Rosenmann-Taub. The mission of the Corda Foundation is to assemble, preserve, and make available the works of David Rosenmann-Taub. Submissions may be in either Spanish or English, and may come from any country of the world. Deadline to receive papers and translations: December 15, 2020. Announcement of Recipients of Awards: March 21, 2021. 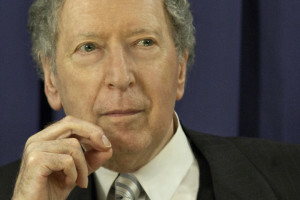 A distinguished board of advisors will read entries for all applications that qualify and will determine the winners. A comprehensive bibliography and sources to obtain books by David Rosenmann-Taub are on the Corda Foundation's site The Poetry of David Rosenmann-Taub.